Home › Lessons › Kate’s Free French Lessons : Common French expression and counting! Kate’s Free French Lessons : Common French expression and counting! 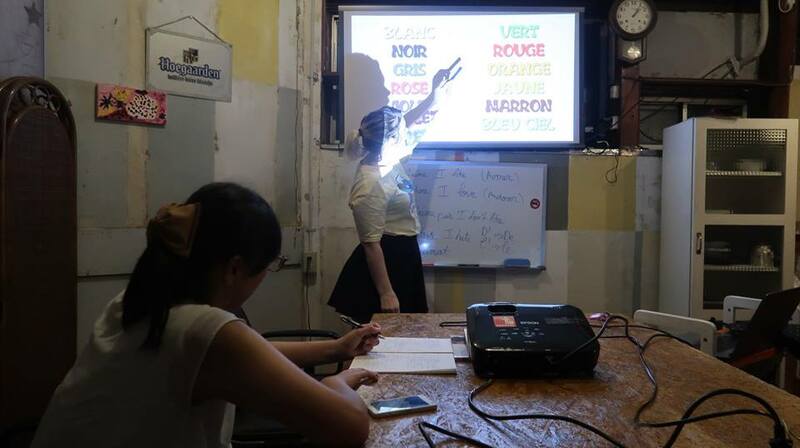 Kate yet had another successful French Language classes at Musashi’s Event Space learning this time how to say ”I’m fine, I like____, I dislike ____” Thank you for our participants who weren’t included in the photo, David, Tatsuru, Kenya and the lady in here busy writing down notes, Megumi. Till the next lessons! Hope to have more participants to learn this tongue twisting sophisticated language!